Success has a lot to do with commitment, hard work, and patiently building expertise throughout the years. Undoubtedly, being visible in the cyberspace is an important piece of the puzzle. That’s where owning a personal website comes in handy. Having a personal website improves your chances of being found by potential clients and partners or HR recruiters. It helps you show the world what makes you unique by communicating who you are and what you do, on your behalf. Your personal website enables you to take control of your personal brand. Given the fact the Internet never sleeps, it serves as your business and personal ID, a publicly accessible portfolio, available 24/7. 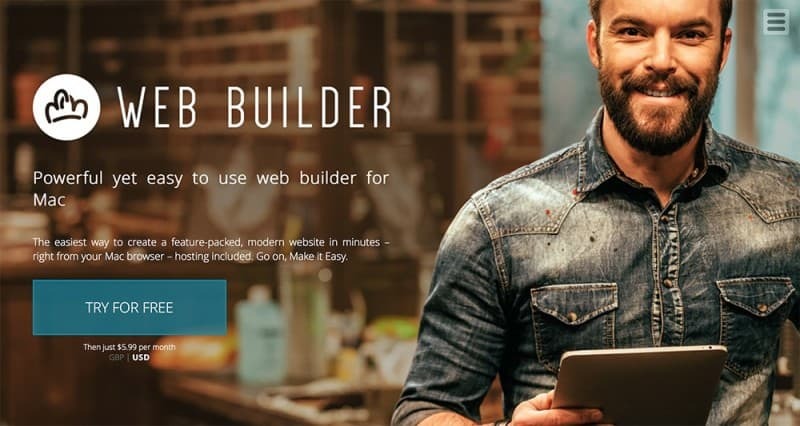 Before you start pulling out excuses like “I don’t have the money for it”, “I can’t do this, it’s too complicated”, or “developers and designers are expensive” – let us introduce you to the popular DIY approach and useful tools you can take advantage of so to build an awesome, eye-catching website. Are you a freelancer, entrepreneur, or a creative professional who wants to start working on building a name in the online world? With about.me, you can easily make a page to present yourself, your accomplishments, and ambitions. The layout is quite simple: choose a photo of yourself, write a short bio, and make sure to include links to your social media profiles and another external website if you have one. The free version allows you to build a page (email signature included), while the paid version offers you a chance to pick your personal .ME domain name, remove about.me branding, and it gives you access to full customer support. A truly simple and easy way to stand out from the crowd. Another great thing is that every time you log in, you can see who viewed or saved your profile, or complimented you. In addition, the platform will recommend you profiles to check out based on your interests. You can even find interesting people who have their about.me page via search through various social networks. If you believe programming knowledge is necessary for publishing a personal website, think again! Hearabout.me offers you a hassle-free way to set up your website with just a few clicks. Simply choose one of the nicely designed website themes, customize them to your preferences, i.e. to match the type of your content. Once you’re done with picking the elements and creating the structure of your website, you can host it with a domain of your choice. Having a personal website improves your chances of being found by potential clients and partners or HR recruiters. 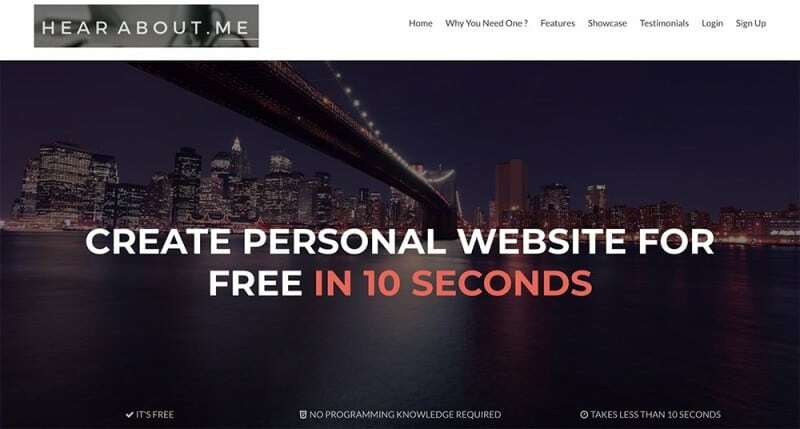 Hearabout.me is a great free website building tool that targets users who don’t have specific coding expertise, but nonetheless – have something to say to the world. It’s not just about launching your career or letting business people from your industry get to know you. Your personal website is your online sanctuary that reflects who you are. Berta.me is one of the most user-friendly website building tools out there. It is aimed at artists, photographers, craftsmen, and designers who maybe don’t have much of the coding skills, but certainly know their aesthetics. You can easily see what you create: simply upload visuals you like and use the drag-and-drop action to move the elements around as you wish. Berta.me is equipped with over 500 Google Web Fonts you can choose from, so rest assured – the typography will perfectly match the feel you want to create. In addition, websites you create with berta.me are mobile responsive. It today’s world, where we’re used to surfing the web on the go, staying present across different platforms is a must. Berta.me is available for a free two-week trial, and then you can pick on of the three available cost-efficient plans. If you’re looking for a way to build an awesome online portfolio and take control of your personal brand, dunked.me is your go-to tool. Just like berta.me, dunked.me targets creative individuals who want to differentiate themselves by crafting a site for themselves. It’s beautifully simple: you choose a theme you like, adjust it to your liking, and publish your website with just a couple of clicks. You can easily upload images from your PC and arrange them as you please. There is also an option of embedding audio and video content from platforms such as YouTube, Vimeo, 500px, and SoundCloud. The editing tool is very simple to manage and there are a lot of templates you can choose from. If it happens that you know how to code, you can customize HTML and CSS further. Dunked.me offers you a chance to create stunning online portfolios that are mobile-optimized and work well across Android, Windows, and Apple devices. All of you Apple-enthusiasts will be glad to hear there is a special website builder called MacMate that allows you to create a modern website within minutes, right from your Mac browser. There are no specific tech skills needed: a clearly structured step-by-step guide will show you around, so you can create a personal website you’ve always dreamed of. Simply upload your images and insert content you wish. Don’t have any eye-catching photos? MacMat has over 100.000 stock photos in its library – and they are completely free for you to use! There are endless theme and palette combinations at your disposal, so you can create a unique website like no other across the web. The best thing about this tool is that you can make a professional-looking website and then add your own domain and email. Every great writer knows he needs a solid portfolio to back his quality. With clippings.me, journalists, bloggers, and content creators have an opportunity to gather all the work in one place. Offered layouts are simple and effective, so your work really shines through. You can upload PDFs or attach links to your published pieces. Add a short bio and contact information, so people can get in touch with you – and you’re all set! Also, you may enrich your personal website with multimedia content to catch the eye of your site visitors and potential business partners. Every site built with clippings.me is mobile-responsive, so you can reach a wider audience who prefers browsing on the go. Depending on the plan you choose, you’ll unlock additional features such as Google Analytics integration, custom domain name, and spam-protected contact forms. Clippings.me has an awesome writing portfolio guide written by the founder Nicholas Holmes, so make sure to check it out. Some of the most reputable writing professionals (such as journalists and writers from Poynter and CNN) use clippings.me, why wouldn’t you give it a go? Wedoo.me allows you to create the personal website of your dreams. Want to add interactive maps integrated from Google? Not a problem. Interested in blogging your way to success? Easily add a blogging section. Looking to add and customize contact forms? Just a few clicks and you can set it up. There is a wide set of high-quality templates you can choose from, so to create the exact website you want. Adding images, videos, and icons is simple, and you can even choose the ones provided by wedoo.me. Sites are SEO-friendly and of course – you’re expected to connect a custom domain to the website you create. Even an amateur eye can see skillful designers worked on designing themes, so rest assured you’ll end up with a site that looks highly professional, like you’ve spend thousands of dollars on it. The truth is, wedoo.me is very affordable: just 1$ per month. 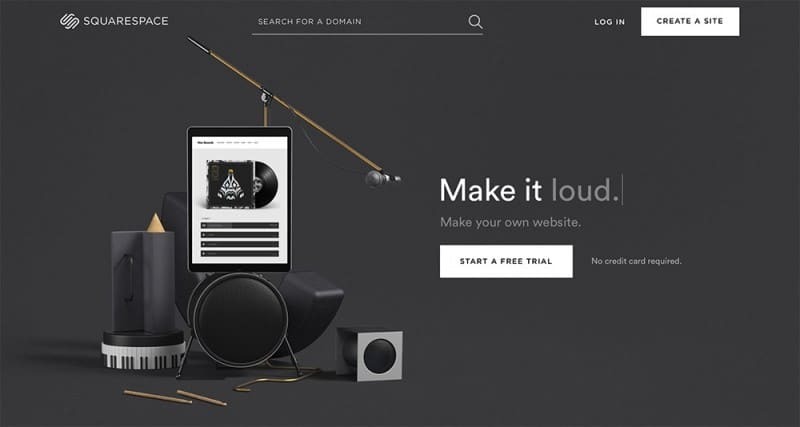 As one of the most popular DIY website builders, wix.com offers users a hassle-free way to create their own site. There are no tech skills required – just a playful mind ready to craft a one-of-a-kind website. Just pick a template, make desired changes, easily manipulate images, videos, and texts, and start working on building your online presence. Websites created with wix.com are mobile-responsive and SEO-friendly, so you can relax: your site will look lovely on mobile devices and you can start working on earning Google rankings from a safe spot. In addition, wix.com has a new technology called Artificial Design Intelligence that helps you, with the power of suggestion, to choose the right combination of layouts, visuals, texts, and more. Because of its user-friendly system, wix.com already has over 100 million users from different industries. 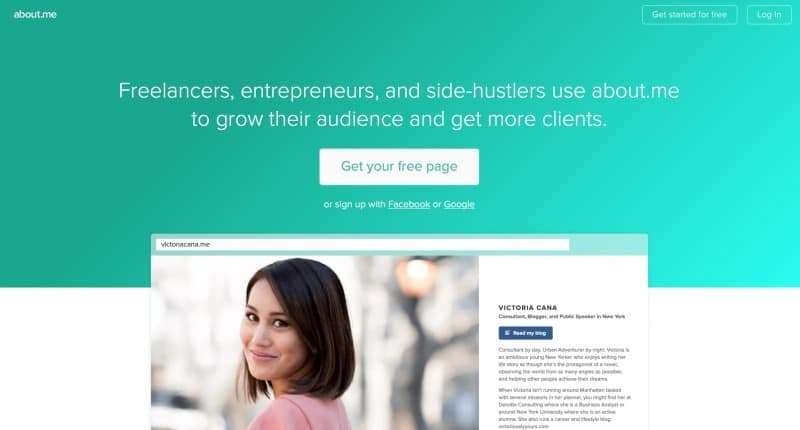 You can promote yourself easily and grow your career or personal business: create an account for free and start working on it! 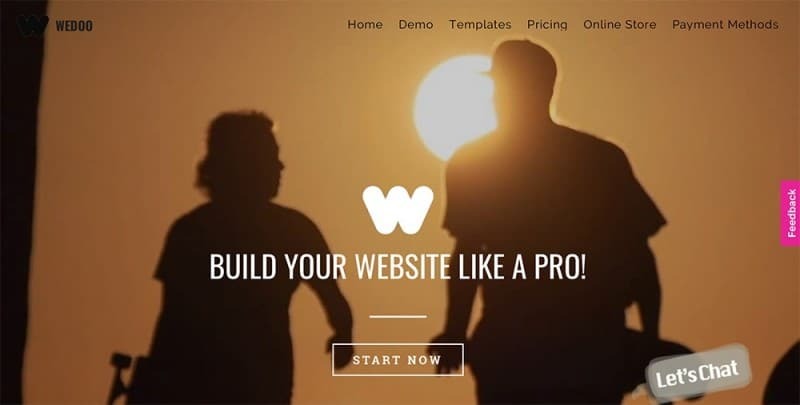 Weebly.com is another great drag-and-drop builder that has amazing features packed for you. You can easily create your own galleries, slideshows, and personalized websites. There is a wide choice of content elements you can add to your website and editing the text is similar to the usual Word editor you probably use on daily basis. Opt for professionally designed themes that you can adjust to your preferences and make your vision come true. It all takes place within your browser: no installation or any type of complicated procedure is needed. And have you ever seen those powerful websites that have a video playing in the background on their home pages? You can easily get one, too. Weebly.com is an awesome tool allowing you access to great templates, images, texts, and fonts you can customize. 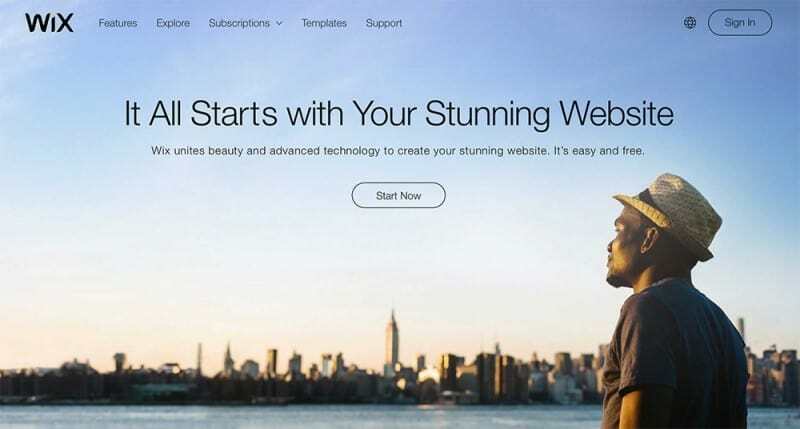 Over 40 millions professionals and entrepreneurs have built their site with weebly.com: what are you waiting for? Squarespace.com has praiseworthy award-winning templates that you can use to build a professional personal website within minutes. With a free trial, you can check how it works and get access to limited number of perks. Just like all the most website builders, Squarespace.com has templates organized in categories, so you can get the one that matches your industry and customize it easier. Personal plans are affordable ($16 per month if billed annually) and you get provided with SSL certificate, the set of marketing tools that help you grow your audience and build a solid personal brand, a mobile-friendly website, and much more. The best thing about squarespace.com is the fact you can easily transfer your domain name. Unlimited hosting is included in the plan, as well as 24/7 customer support, so you can rest assured your website will stay up online, alive and kicking. As you can see, there are many great website builders available free of charge or at a really affordable price. They are all designed for users who never wrote a line of code, but still wish to show the world who they are, what they do, and what they stand for. Because of its branding possibilities and the positive feel that it carries with itself, .ME domain can become your golden ticket to new business opportunities and career options. No question about it: you need to start working on developing your personal brand online. Why don’t you do it the right way and use .ME? Domain.me has been recognized as a global supporter of creative professionals and individuals who want to launch their personal brands and taste the sweet fruits the technology has brought upon us. Think about it: with internet connection, we encounter amazing doors of opportunities, but our ambition, agility, and the right set of tools is what will open those doors. Specifically because of its branding possibilities and the positive feel that it carries with itself, .ME domain can become your golden ticket to new business opportunities and career options. It is the most personal domain across the World Wide Web, it helps you clearly communicate your uniqueness and strong points, while aligning perfectly with your originality. Check if your desired .ME domain name is available here and start working on your personal website. Excuses won’t work now!